Hands up where are all my Harry Potter fans? I fell in love with the series years ago, I loved that the characters were young, brave and all of the magic. I wanted to be able to wave a wand and command spells long before this series came to light as a young child (I don’t think I am alone in this?). Even though the series started before my children were born, they also love the books and movies. This shows the power of Harry Potter – the story and characters can reach out to and relate to all age groups and genders. 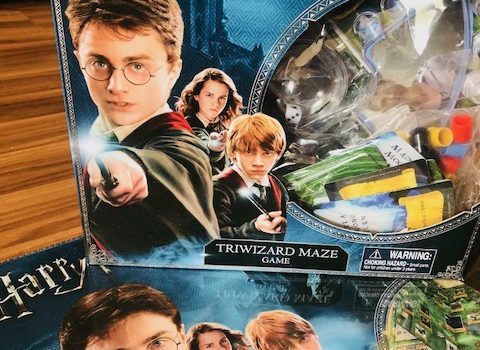 Goliath Games has released two Harry Potter games that will add plenty of magic to your game night or to the every day. 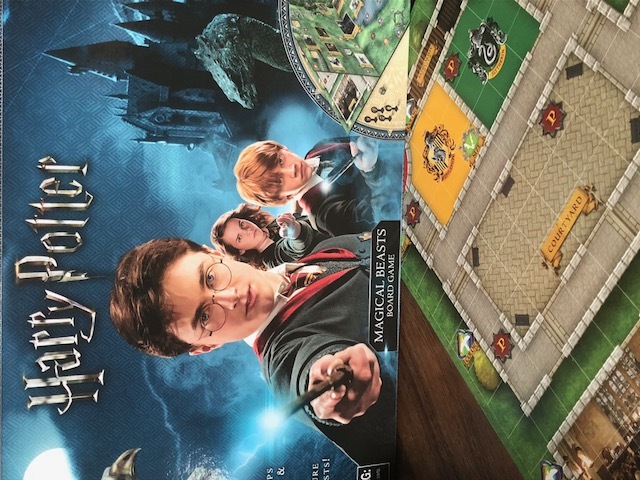 If you are ready to cast spells, win the Tri-Wizard cup, explore Hogwarts and capture fantastic beasts – these games are for you! 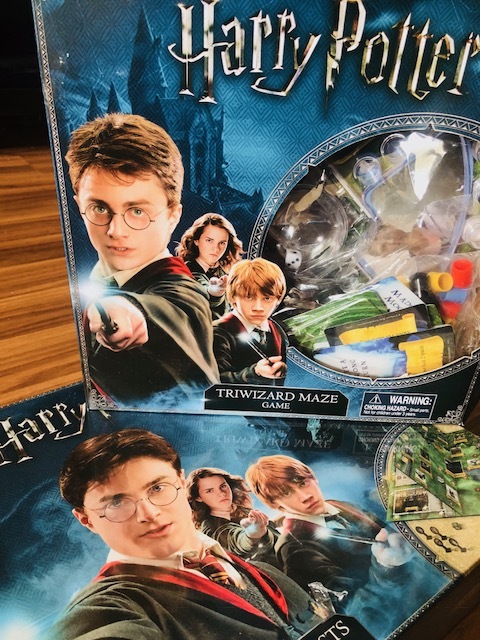 Harry Potter Tri-Wizard Maze will have you muggles and wizards race around the board in order to capture the Tri-Wizard cup! Be careful as you head around the maze as there are traps that could help or hurt you. This game is designed for two to four players and can be played by anyone five years of age and up. It is similar to Trouble, where you “pop” the center and dice will roll indicating how many spaces you can take. Depending on where you land, you may have to pick up a card which will hold either something that can help you win or put you back a couple of spaces. We LOVED this game – my youngest actually ripped the package open trying to get this one out. It was challenging but not overwhelming so that young kids couldn’t play. We played a few times without drawing the cards and it was still a lot of fun but the cards do at that extra bit of magic. My kids were quite clever with this game, I think they figured out how to ‘pop’ the dice to get the best rolls, I lost every round to them (my pieces were the red ones above!). Maybe you are looking for a greater mental challenge? 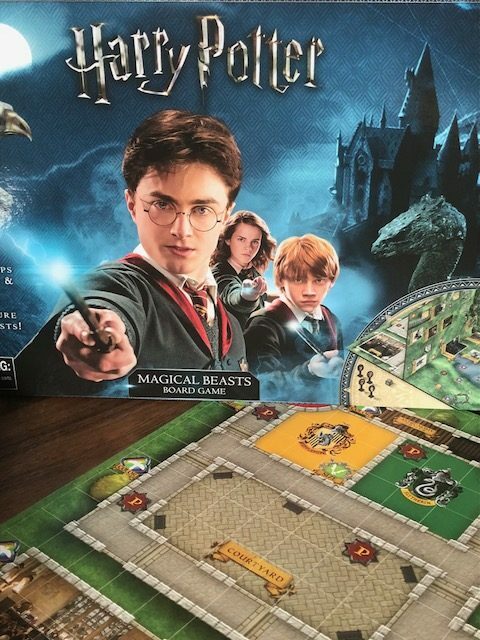 Then Harry Potter Magical Beasts Game will fit the bill. Magical beasts are running loose at Hogwarts and it is up to you and your friends to save the day. 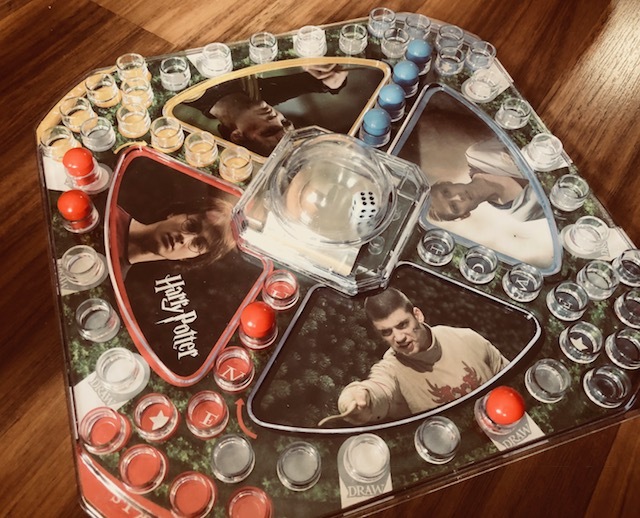 You can choose to be one of the main characters (we had a small argument over who will be Harry but I was able to be Hermione so I was happy!). You must work through the clues and Hogwarts building and grounds in order to recapture the beasts before it is too late. This interactive board game has a swinging playing board, both sides of the board can be used which took me a bit to wrap my head around but once you get it, I couldn’t believe how clever it was. This game is definitely a bit more complicated and geared towards older children and adults, I would suggest eight to ten years of age or older. These games added an element of magic, mystery and fun to our nights and with this cold weather settling in, we will definitely be looking at having more family game nights. We loved that each time you played the games, it was different – you never really knew what to expect and you could add your own elements of magic into the games to make them your own. Make sure you connect with Goliath Games on Twitter and Facebook to keep up to date with the newest toys, games and more! This entry was posted in gifts for kids, Lifestyle, review.